For the last couple of years, I have been working on buying a copy of every album featured on Sounds Better With Reverb’s 100 Greatest Shoegaze Albums. Shoegaze is a genre that trades in high distortion and an oft-impenetrable wall of sound to the point that vocals—when there are vocals—become mere instruments and building the architecture of their meanings becomes a futile endeavor without the blueprints of CD sleeves or verified lyrics on Genius. The genre’s name came from what was, at the time, a derogatory comment about the seemingly introverted stage presence of the genre’s musicians: heads down, gazing at their shoes. It’s no surprise that the top three spots of the list are occupied by three of the bands widely considered to be the designers of the genre: My Bloody Valentine, Slowdive and Ride. While I got my start with the music of Catherine Wheel, it wasn’t long until I was traversing the swirls and swells of all that shoegaze and dream pop had to offer. Oddly, Slowdive was one of the bands that took me the longest to appreciate. Where My Bloody Valentine traded in nearly psychedelic riffs and Catherine Wheel captured my attention with Rob Dickinson’s soothing vocals, Slowdive was shoegaze for patient people. Their compositions were never rushed. I had not quite found myself in a space where I appreciated music that gave me space to live in and so I hadn’t learned to exist in their spaces yet. However, I never stopped listening to their albums, because one cannot understand the extent of shoegaze unless Slowdive is in the mix. 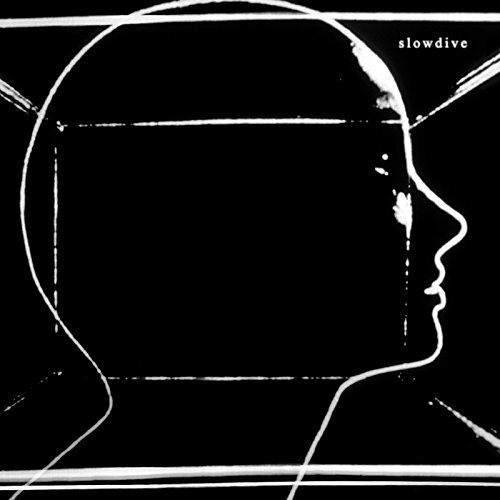 Needless to say, as I grew in my appreciation for—and eventual love of—patiently atmospheric music, I grew to understand and love the structures that Slowdive was erecting within the genre. They became the breath of fresh air in the crowded wings of claustrophobic distortion. When word came that they were coming back after 22 years of side projects and solo careers, I was excited about the promise of new melodies and terrified of how their style of shoegaze would fare in the relentless waves of memory and time. The first single, “Star Roving,” came out and, while I liked the song, it felt like a throwback and sometimes falling back on the sound that made a band famous could become a death knell in a new era. However, when “Sugar for the Pill”—my favorite song on the album—came out, my lungs let out an audible sigh of relief. This was a perfect collaboration between their former sound and what the band could become if they decided to go beyond this one comeback album. The album is pure melodic and atmospheric heaven and, while I know that sounds like the words of an obsessed fanboy, I would nearly be willing to give money to anyone who could come away from the album with an utterly different experience with it. Between Neil Halstead and Rachel Goswell’s vocals, there is a beauty and effortless harmony that sounds like an echo of earlier albums and yet finds a new maturity and world-weariness that comes with age and experience. The music hits that perfect balance between building compositions that are reminiscent of earlier days, yet punctuating the landscape of the album with flourishes, tones and full songs that are pressing forward and sinking deeper into who Slowdive is as a band. While “Star Roving” and “Go Get It” harken back to Souvlaki melodies and structures, other songs like album closer “Falling Ashes” deconstruct shoegaze and veer into the sparseness and ambient experimentation with which their previous album Pygmalion teased. It is quite a feat after twenty-some-odd years to come back as a band and create something that fits nicely into the corpus of their prior work and, at the same time, propels their sound forward into unsettled territory. It’s nigh impossible to do it with such beauty and grace that demands continual engagement. Blake produces the podcast, The Body | The Blood, for Reel World Theology. He works full time as a draftsman for a small architecture firm in Amarillo, TX. Outside of horror, his cultural interests find their fulfillment in late 80s/early 90s hip hop, Southern Gothic literature, and British crime dramas and comedy. You can find any and all of Blake’s writing at his website and interact with him on Twitter.